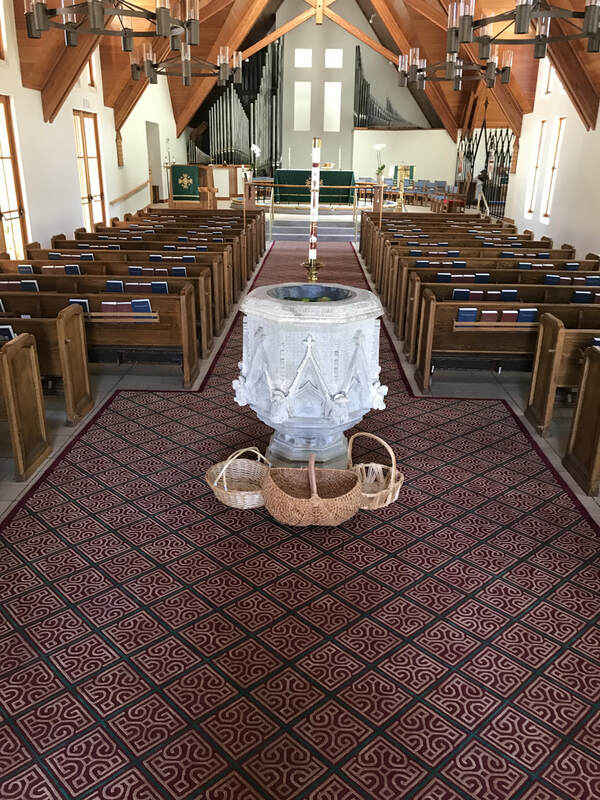 The longest-running element of the church restoration project (started in April, 2015) has been completed. 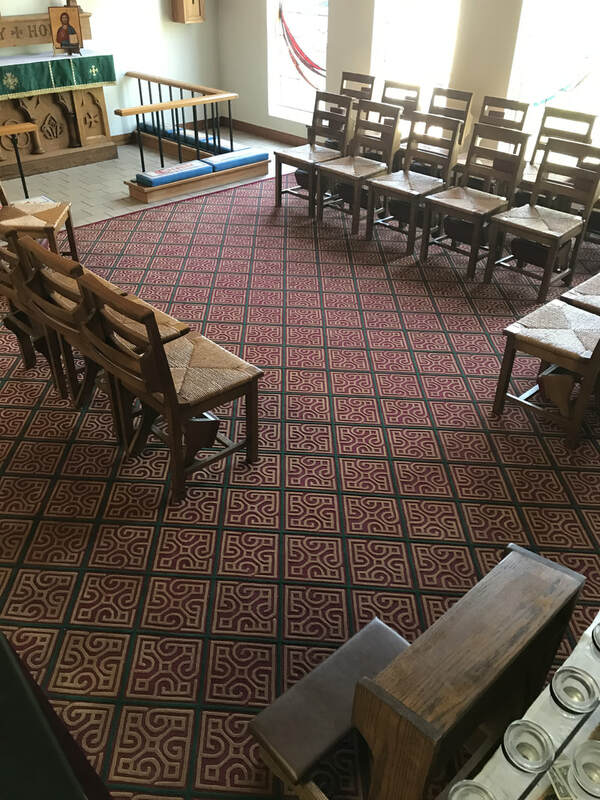 The replacement of the blue indoor-outdoor carpet runner in the center aisle has been the focus of several talented parishioners and two professional interior designers. Parishioner Fredric Steck wanted to see a beautiful path to St. Mark’s altar and offered this project as a special gift. At the same time, the chapel rug has been replaced with a rug matching the runner and cut to fit the space. Those involved in the discussion aimed to bring color into the church interior in harmony with existing colors in the church buildings. In addition, colors were viewed in relation to our two main liturgical vestment sets, the white and green sets, and the liturgical seasons. The final design was developed by San Francisco interior designer Amy Weaver and Weaver Design Studio. It incorporates stylized crosses and colors of the liturgical seasons and St. Mark’s buildings in a tile pattern, and was woven to the specific dimensions of St. Mark’s church by Stark Carpet in New Zealand wool.